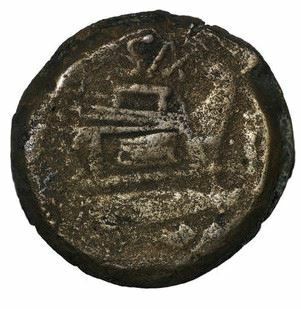 Saxula was one of the moneyers for the year 169-158 BC. He was perhaps a younger brother of the moneyer C. Cluvius Saxula, but is otherwise unknown. Gens Cluvia was a Roman family during the later Republic, and early imperial times. C. Cluvius Saxula senior was the first of the family to achieve prominence. he Cluvii do not appear to have been divided into distinct families. Individual members of the gens bore the personal cognomina Saxula, a little rock, and Rufus, red or reddish. The Cluvii were of Campanian origin. The earliest member of the family appearing in history was Faucula Cluvia, a courtesan at Capua during the Second Punic War.